An amazing automated workflow tool saves both time and energy. 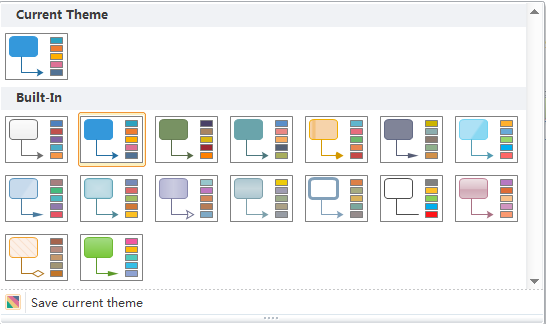 With abundant predefined symbols and rich templates, drawing workflow diagram is super easy. Edraw is an easy workflow tool with auto generation function. The workflows representing an organization's structure such as information technology, teams, projects and hierarchies are all predefined elaborately. In this way, even novice users can draw workflow diagrams easily and quickly. They are smart shapes with floating action buttons, enabling auto connection. All templates and examples are available for free download, which can be transferred into various formats. See the advantages of Edraw as a workflow tool below. Edraw has built in a set of nice-looking themes with advanced effects. It's easy to change the overall style by changing the active theme with only one click. You don't have to be an expert in designing to gain professional-looking results. Click here to learn How to Apply Themes. 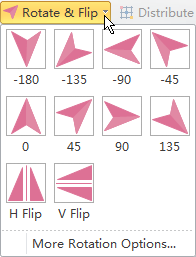 Some workflow shapes are 3D symbols with floating action buttons allowing easier connection. The flow process can be clearer and more visualized. 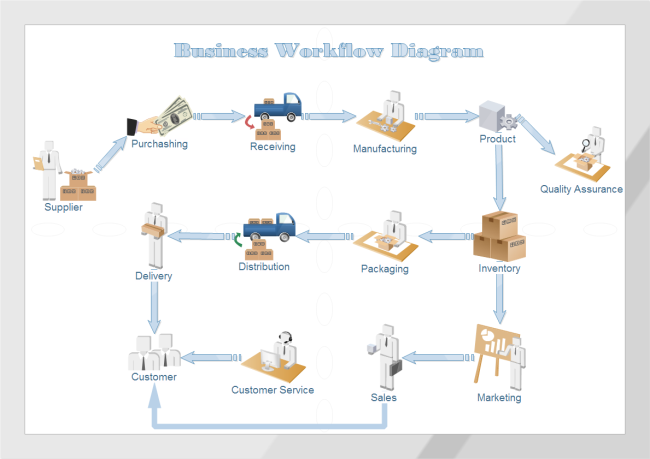 See more detailed introduction about Workflow Shapes. All workflow diagrams made by Edraw are vector graphic files with high clarity and available for reviewing and modifying. A set of smart tools are provided for automatic formatting. 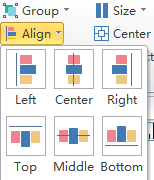 You can easily arrange, rotate, group and align objects with these smart tools. Edraw offers various customization options, through which you can adjust line width, line color, line style, font size, font style, text color, and much more. It's easy to insert hyperlink, note and attachments. Besides workflow charts, Edraw can also be used to construct a wide variety of infographics, including mind map, flowchart, org chart, UML diagram, line chart, Venn diagram, floor plan and so on. Download this marvelous tool and try it to find out more diagramming solutions. Since it can be exported into PowerPoint format, Edraw can be applied to make presentation slides, too. Some presentation templates are also built in the program. If you are into fashion, design your own chic dress easily in this amazing program.